Pay attention all you would-be hackers out there, because Anonymous have just released their own distribution of the Linux operating system. 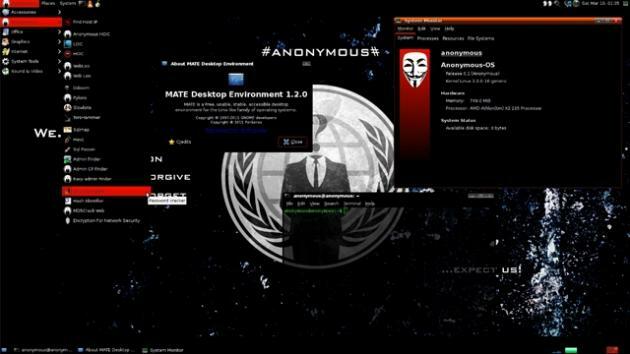 The Anonymous-OS is based off Ubuntu and runs the MATE user interface. It comes complete with many built-in hacking tools that crack passwords, search for vulnerabilities in web sites, and simulate denial of service attacks. But take heed to the advice posted on the About page, which notes that the system was created "for educational purposes" and that you shouldn't use it to attack any web sites, because you could "end up in jail".